Then there was not enough information. As the hurricane roared in, even the charged cell phone batteries (4-5 days typical time) began to die. Perhaps the smartphone users followed all of the pre-Hurricane tips and they were well-connected at all times. But news reports showed numerous elderly with no place to go – and no power. And families unable to reach them. In sweltering temperatures, in 15,000 communities of elderly no working elevators, no power for electric wheelchairs or oxygen machines – not just nursing homes, but so-called 55+ (active adult!) communities like Century Village. And worse in areas of flooding, badly damaged property, or inaccessible homes. For the elderly, more tech could have been useful. Monday-morning quarterbacks will have lots advice. Generators for backup power -- it seems like it will be tough to market without one to prospects of senior living communities. Land lines, rapidly disappearing, should rapidly reappear and be offered at low cost for all older adults – during power outages they mostly work. For individuals, external phone batteries and connectors. Not just a phone, a tablet, chargers, but how about a charged (even an old) laptop with 12 hours of remaining battery after the power goes out. And medication reminder/dispenser technology? Hmmm. 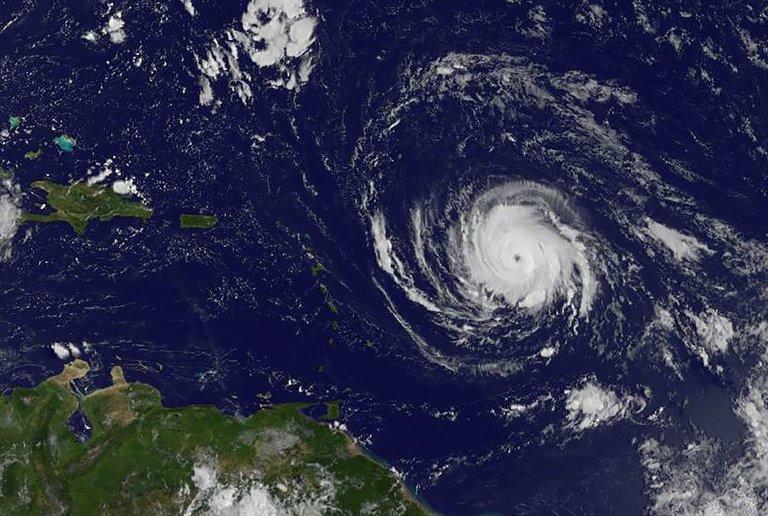 Looking ahead – cool innovations need some hurricane context. We all should be looking ahead – given Harvey and Irma, although Amazon has likely spent no time thinking about its Echo line and power outages, how about that 18-Hour Boot Battery for the Echo? Okay, Google, how about something similar for Google Home? Or let’s see more vendors surpass the 22-hour battery pack capacity for cell/smart phones. And while we’re at it, tech training programs on the use of cell phones and smartphones need to amp up the focus on keeping them charged, but also about higher horsepower phones and the need to own and carry battery packs for unlikely but possible emergencies – like evacuations. Even with the smartest phone and cautious user, a 24-hour day without charging is still a dream. Thoughts welcome. Permalink Submitted by Peter Zimmer (not verified) on Tue, 09/19/2017 - 11:47. Thanks for this timely posting. Technologies that fail to work for those Aging in Place or Aging Elsewhere ( long term care homes, +55 communities) during foreseeable long-term outages is a real life-affecting issue (here in the northern parts of the continent ice-storms, blizzards, a good Nor'Easter can put out power of large areas for the same sort of period as Harvey's flooding or Irma's winds and floods) . While landline phones have sometimes served many during extended power outages, they are not a panacea and I expect most phone companies are decreasing the time, attention and money spent on maintenance of their POTS lines (Plain Old Telephone System) as their user bases decline. And if the disaster lasts long enough the POTS central batteries eventually fail even if the phone lines don't fall. My personal emergency kit includes a hand-crank powered radio that doubles as a flashlight and has a USB port for charging a cell phone. Add a 48-hour battery and plug-in AC trickle charger, and had an emergency all-providers cell phone chip with GPS and one-touch 911 dialing... That would be a "smart" emergency device. The ultimate user interface: Appliances for those living with Alzheimer’s disease. Permalink Submitted by Heidi Culbertson (not verified) on Wed, 10/25/2017 - 23:17. I agree immediate thought needs to be given to how tech innovation can help with both disaster preparation and its aftermath with the large numbers of older adults in the US. You mention the impact of Hurricane Irma in Florida for the senior community, and it could have been much worse with the impact of a CAT 4 hurricane making landfall and covering the entire state. I was without power for 12 days in Naples. Fortunately I was able to use my Cyberpower surge protector/backup battery set up and a RavPower battery brick to charge my electronics. I also had internet access with an AT&T WiFi hotspot device. With careful management, I was up and running for a week before I lost the last charge. But I understand technology and had all the right components in place. I also had my Amazon Echo up and running which kept me entertained, provided local news and enabled me to communicate with family using our Marvee Alexa Skill during my 12 day saga. Alexa allowed music to clean up debris by! There is innovation to be had from manufacturers, service providers and relief organizations. We need manufacturers to produce a specific product - a battery brick, with cellular/WiFi, that lasts several days to power Voice-first technology for older adults. Specific voice-designed solutions can then be enabled. Service providers offering set up or training services need to have a plan for a rapid response team ready to deploy assistance as needed, and relief organizations need to add line item funding for a technology bundle that is immediately dispensed to the impacted over-65 population. Ideally innovation would come from an every day set up that becomes sustainable for disaster scenarios. Personal experience and this post have my brain swirling with ideas. Thanks Laurie!